I love the wild asters at this time of year, so much, in fact, that I brought a few inside. 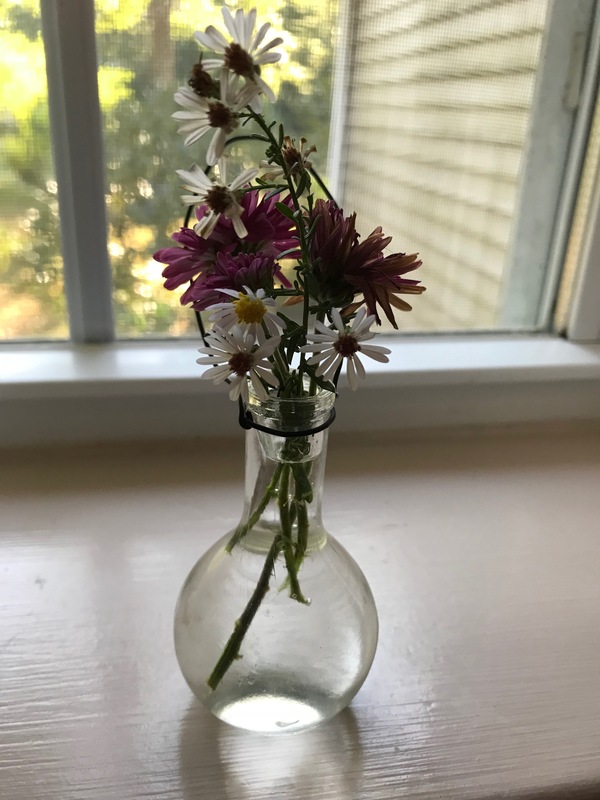 I have a teeny tiny vase that I bought on Cape Cod last year, and I enjoy filling it with a sprig of this or a stem of that. 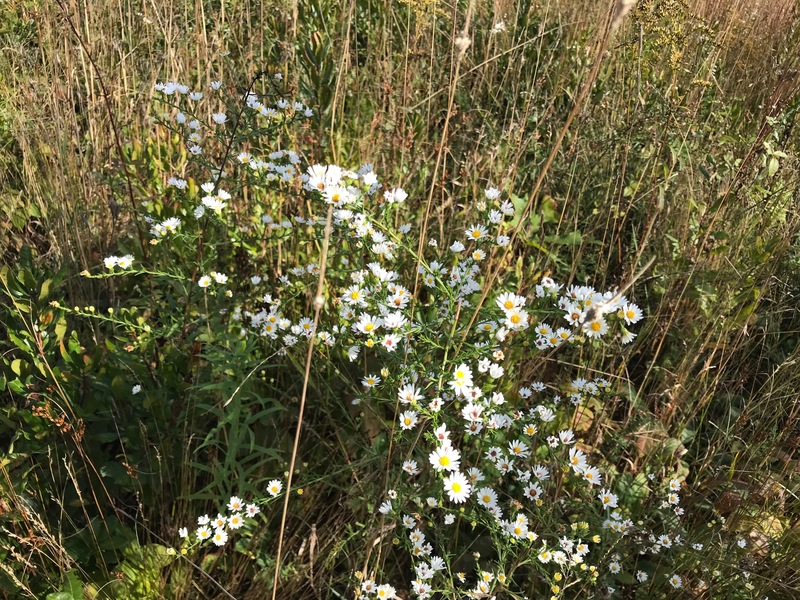 This time, the sprig is wild aster with a couple of small mums. This makes me smile every time I look at it. That is so pretty. Teeny tiny vases are so sweet. A friend once had a teeny (really teeny tiny) vase filled with wild violets. It was so beautiful.